The BMW 3 Series Touring Estate is entering its fourth decade. Although this Estate is a large improvement on the original, it retains much of the same principles: It’s essentially taken everything buyers love about the saloon and doubled down on them, adding a bigger boot, but making sure that the ultimate driving experience remains in place. If you’re on the hunt for a family Estate that is actually fun to drive, the BMW 3 Series has been proving time and time again that a large car such as this doesn’t have to sacrifice drivability. It’s got plenty of substance too, including an excellent fit and finish and a whole raft of quality engines. 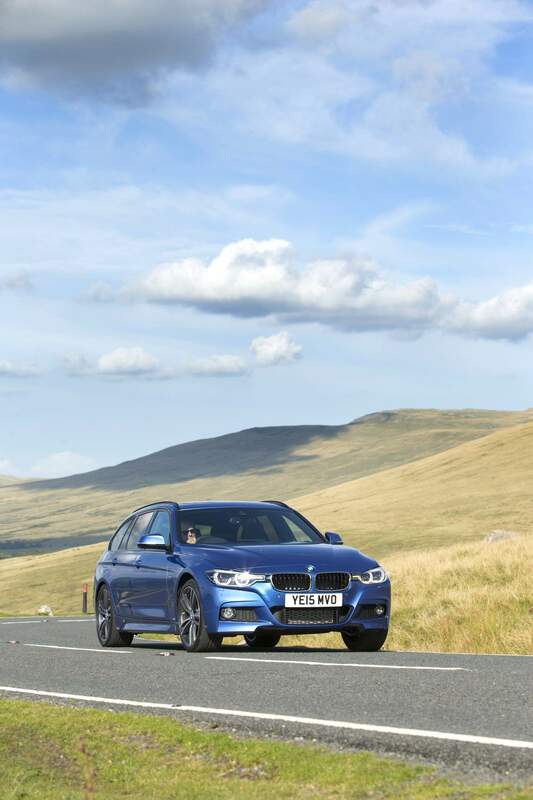 OSV takes a closer look at what it’s all about with our BMW 3 Series Touring Estate review. A decade ago, most Estate’s didn’t offer much excitement behind the wheel. While rivals are finally making improvements, the BMW 3 Series has been offering on the road entertainment for most of its life. Despite its sheer size, this new model is just as engaging as the saloon variant and is without a doubt the sharpest executive Estate on the market right now. Whichever model you choose, you’ll be getting yourself a car that rides and handles brilliantly. The steering is accurate and not lopsided, while the front tyres have plenty of grip that ensures a truer line as any on the motorway. x-Drive four-wheel-drive is available as an optional extra that will enhance traction, and it’s especially useful during the harsh winter when conditions can easily leave you stranded. 4WD, though, will lead to higher running costs so weight up the pros and cons first. An eight-speed automatic transmission is also available as an optional extra, and OSV wholly recommends adding it to whichever unit you go for. It changes gear smoothly and quickly and feels really intuitive. It also won’t affect your car’s CO2 output. There are 5 diesel engines in the squad, starting with a 316d Touring, which is capable of returning 64.2mpg while emitting 116g/km of CO2. The range-topping 335d Touring xDrive engine comes with four-wheel drive and is good for 50mpg. It can rocket you and your kids from rest to 62mph in just 4.9 seconds and emits 148g/km of CO2. Our pick, though, is the less powerful but more efficient 320d Touring EfficientDynamics unit that can return 67.3mpg and offers enough pace and performance to satisfy most buyers. There are four petrols on offer, and they all sound awesome. Each one has to be revved quite a lot, but they’re all powerful and quick. A 318i Touring unit kicks things off, returning 49.6mpg while emitting 133g/km of CO2. The 340i petrol is the most thrilling, though. It delivers 322bhp and is the embodiment of the “ultimate driving machine” experience. It feels rapid – but also safe. The main decision you need to make when shopping for an Estate is whether you want comfort or a great driving experience; it often happens that you can’t have your cake and eat it. With the new BMW Estate, it appears that you can. The car is comfortable enough even for five people as you tackle some of our worst roads, which is a pleasant surprise because usually superb handling and performance means customers have to put up with being tossed around the cabin whenever the car confront’s a pothole. The selection of driving modes help. Available only with the more expensive Sport and M Sport trims, these modes let you alter the vehicle’s suspension so that you tailor its ride to the conditions. Set it to Comfort and you’ll get max comfort. The dash is really user-friendly and easily accessible. Few buyers will be left scratching their heads trying to find something, as BMW has designed a dash that is based on common sense. Buyers also benefit from a neat iDrive infotainment control system that is one of the best in this class. Easy to use, it comes with additional features that are well worth exploring. 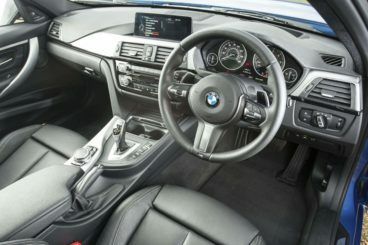 The fit and finish throughout the interior is classy and leaves you with the impression that BMW got a sense of pride out of building it. If an Estate has a big boot, you’ve got the first link in the chain sorted. Unfortunately, as impressive as the BMW’s 495-litre boot is, it’s a long way off being the best in class. 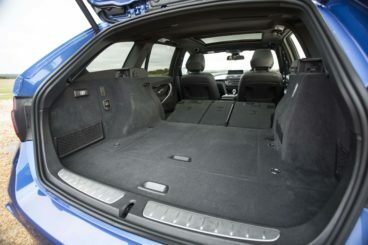 The Volkswagen Passat Estate has a way bigger boot, as does the Skoda Octavia Estate. If you fold the rear seats down, you can expand the boot space to 1,500-litres. Pleasingly, BMW has added lots of neat cubbyholes and storage bins around the interior for your bits and pieces, ensuring that families will be able to keep the car nice and tidy during long journeys. There is a lot of room up front for the driver and passenger. Both seats are adjustable, so it’s easy to get comfy – in theory, at least. The adjustable seats are a little awkward, to say the least, and it might take a bit of time working them out. The Estate makes for a decent towing car, and can tow weight up to 1,800kg – though this is dependent on the engine you opt for. Get the engine right, and you could easily tow a decent-sized caravan with no hassle. There was a time when premium brand’s such as BMW would forgo much standard equipment, but this 3 Series Estate is really generous. If you can’t afford to move up the trims, the base-level variant still comes with a good amount of standard equipment., including 17” alloys, cruise control, air conditioning, a chrome exhaust pipe, Bluetooth connectivity and sat nav. The SE trim adds an automatic dimming mirror, automatic lights and wipers and the fantastic Driver Performance Control, while the Sport range includes 18” alloys, gloss black inserts for the front apron and chrome-coloured black kidney grille slats. The range-topping M variant, meanwhile, throws in 19” alloys, leather sports seats and an M leather steering wheel. The list of optional extras includes an electrically operated panoramic glass sunroof, aluminium roof rails, and a trailer hitch. Prices for this large exec Estate start out from around £27,000 and rise to £42,000, which puts it at the higher end of the market. If you’re looking to contract hire it, prices start from around £180 + VAT and go up to £530 + VAT. Although the purchase price might be off-putting to some, thanks to impressively low running costs and a competitive purchase price, this executive Estate is going to prove popular with both individuals and companies who are looking for a Premium car that excites the senses. While it’s not the cheapest to run in its class, the engines are now more efficient than ever – but still as keen and quick. Fuel economy is boosted by new tech that will stop the engine whenever your car is not moving. The most frugal engine in the range is the 316d Touring that returns 64.2mpg and emits 116g/km of CO2. Attractive. The petrols will cost more to run, but the 340i unit returns an impressive 41.5mpg despite performing like a sports car. Worth a punt. Slightly disappointingly, the car is expected to hold onto less than 45% of its new value after 3 years. It doesn’t really matter what surface you’re on, the comfort levels here are very high. If, though, you’re going to be driving up and down motorways most of the time, the diesels are your best bet so that you can maximise comfort. Road noise is reduced to a minimum, while tyre and wind noise is virtually non-existent. The seats are comfortable, too. They’re robust, adjustable and come with good side supports. In the rear, there is plenty of room for 2 adults, thanks to a longer wheelbase than last time around. In terms of numbers, rear passengers now get 9mm more headroom and 17mm extra knee room. While this Estate can’t tow as much weight as the Volkswagen Passat Estate, its 1,800kg towing capacity is a really pleasing aspect. Make no mistake; this is a real heavyweight car. 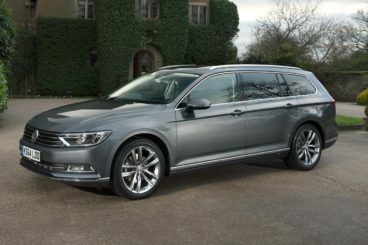 Weighing 1,525kg, it’s a very capable executive Estate car that can double up as a real workhorse should you need it to (just try not to dirty the upholstery!). Not too many cars in this sector can boast an engine line-up as varied as the one here, and even fewer can claim to offer as many performative units that don’t cost all that much to run. While at launch there were only three engines available, BMW has extended the range so that it now includes 9 engines – 5 diesel and 4 petrol units. The quickest in the range can get you from rest to 62mph in just 4.9 seconds, while each unit comes with stop-start technology, with the most frugal of the nine returning 64.2mpg – not bad at all for a car of this size and stature. Although this is a premium car, the BMW 3 Series Touring Estate – much like all other BMW’s – doesn’t score well for reliability among buyers. In the most recent customer satisfaction survey conducted by Driver Power, this car is actually down a spot and now sits in 16th place. Although it wins hearts thanks to its drivability, minds are lost when it comes to maintenance, which could prove costly in the long term. This Estate is relatively “affordable” if you’re shopping around for a high-end premium family car, but when you consider that some of its rivals such as the Skoda Octavia Estate and the Volkswagen Passat Estate can offer almost as much satisfaction, you might get cold feet. However, consumers who can get past that high asking price will face the second moment of truth when they take a look at the list of optional extras. Among the list of options are a useful trailer hitch, aluminium roof rails, and an electrically operated panoramic glass sunroof. All are tempting, and as such it can be easy to rack them up fast. It goes without saying, but before you make your decision it’s important to see what else is on offer. Let’s see how this car measures up against its rivals in the comparison section of our BMW 3 Series Touring Estate review. 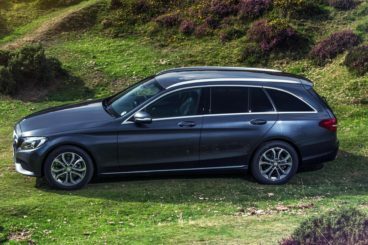 Like the BMW, the Mercedes Estate is a premium Estate that commands a fairly hefty asking price. But what sets it apart? It’s certainly a handsome thing from the outside, looking every inch like an Estate that actually knows how to work a room. Although this is expected from an upmarket brand like Mercedes, it’s worth mentioning that this car is a latecomer to the executive Estate sector. The swish exterior is complemented by a gorgeous interior that is forged from top quality materials and has excellent build quality. It’s a great blend of easy-to-use controls on the dash and comfortable seats. It’s comfortable, stylish and benefits from the fact that Mercedes just make better interiors than BMW. The cabin is one of this car’s strong points, and even entry-level model gets treated to satin chrome highlights. It isn’t all that easy to get comfortable in this car, though, as you need to customise the suspension setup so that it works for you and your needs. So, it looks great; but is it practical? Its boot offers 490-litres of space, which puts it on par with the BMW. While there are bigger boots on offer in this class, you will need to part with more money and you will need to sacrifice badge appeal and either of these cars’ comely good looks. Legroom here is better than last time around, while it can tow just as much weight as the BMW. It’s also been deemed more reliable than the BMW, and has a cheaper engine in its range, with the C300 BlueTEC hybrid unit capable of returning 76.3mpg. Behind the wheel, the Mercedes is comfortable while the BMW is engaging. If you want a proper driving experience and quick engines, the BMW is your best bet, though thanks to the optional air suspension no car in this class will beat the C-class for comfort. Although the Volkswagen Passat Estate is not a Premium Estate, its starting price is higher than the BMW’s. But this is largely because there is only one trim level available, the Passat GT base. It’s a powerful car that comes with big 18” alloys and four-wheel-drive as standard. While this can have a negative effect on running costs, it ensures that it can more than match the bear-like power of the BMW and can tow weight up to 2,200kg. It’s got the BMW’s card when it comes to overall practicality; its boot offers a monumental 639-litres of black hole space with the rear seats folded, while head, leg and shoulder room is excellent both up front and in the rear. The cabin is well insulated and comfortable thanks to a higher suspension, while the interior is pleasing to the touch and eye, and is also super roomy. It doesn’t drive as well as the BMW 3 Series Estate, but it does make for a capable off-roader. There is no petrol unit in the range, however, while the quickest diesel takes 8 seconds to get from rest to 62mph compared to the 4.9 seconds achieved by the BMW’s most rapid option. The VW is more reliable according to consumers, thanks largely to the fact that it shares a very sound and dependable platform with the saloon Passat. For all its positives, the VW is going to hit you in the pocket over the long-term. It’s essentially an off-road family Estate, and thanks to 4WD and its colossal weight, its most frugal unit can only return 57.6mpg while emitting 130g/km of CO2. 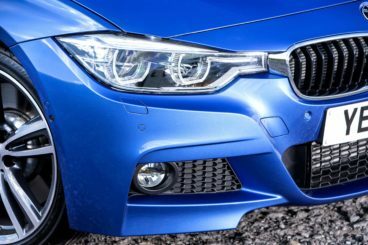 Standard equipment is decent, but the BMW offers more features and more attractive options. The saloon already had a winning formula, which meant BMW simply had to transfer it to the Estate. There was no need for alchemy, but the designers and engineers still needed to possess a certain amount of wizardry to bring this Estate up to scratch. And they clearly possess lots of it. Although the magic wand wasn’t able to create the perfect executive Estate car, what you have here is a very competent, very prestigious and very practical vehicle that drives better than any other in its class. The BMW 3 Series Touring Estate benefits from crisp handling, reduced emissions and sharp looks.